“LOST”: Things That Make Me Go . . . Hmmm? 5. Why did Tom Friendly claim that no one was able to leave the island, following the explosion of the Swan Station, despite the fact that he, Michael and Walt were able to do so? 7. Why did the prosecuting attorney fail to continue her prosecution of Kate for the charges of bank robbery, assaulting a Federal peace officer, after the murder charges were dropped? 8. Why were the Losties, the Freighter people and Juliet the only ones who time traveled on the island and not the Others or Danielle Rousseau? 9. Why did Ben kill John Locke in “The Death of Jeremy Bentham”? 10. What happened to Claire Littleton during her three-year stay on the island, following the departure of the Oceanic Six? 11. Who killed some of the surviving Ajira 316 passengers at their beach camp and why? Tyrone Power’s career took a strange turn during the post-World War II years. Although he still managed to maintain his position as one of Twentieth Century Fox’s top stars during the remainder of the 1940s, something happened as the 1950s dawned. Powers still found himself in Grade A movies during that particular decade. But he also seemed to appear in a growing number of standard costume melodramas. Twentieth Century Fox lent Powers to Universal Pictures to star in the 1953 drama called “THE MISSISSIPPI GAMBLER”. Directed by Rudolph Maté, “THE MISSISSIPPI GAMBLER” told the story of a New York-born gambler named Mark Fallon, who moves to New Orleans with ambitions to create his own gambling casino. During the riverboat journey down the Mississippi River, Mark becomes the friend and protégé of an older gambler named Kansas John Polly. The pair also run afoul of a crooked gambler and two Creole siblings named Angelique and Laurent Dureau. 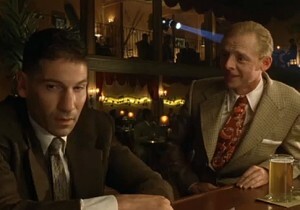 During a poker game, Mark exposes the crooked gambler. Also Laurent Dureau loses all of his money and his sister’s priceless necklace during the game. Upon his arrival in New Orleans, Mark becomes acquainted with the Dureaus’ father, Edmond Dureau. The latter admires Mark and realizes that the younger man is in love with Angelique. Unfortunately, she refuses to acknowledge Mark and sets matrimonial sights upon a friend of her brother’s, banker George Elwood. Mark and Kansas John meet and help Ann Conant, the daughter of an unlucky gambler who had committed suicide. She helps the two friends build their casino, yet at the same time, falls in love with Mark. And both she and Mark become uncomfortably aware that Laurent Dureau has fallen in love with her. While reading the synopsis of this film, I noticed that it was identified as an adventure film. “THE MISSISSIPPI GAMBLER” does feature some action sequences that include a fist fight aboard a riverboat, at least two duels and a murder attempt. But for some reason, I am hard pressed to consider it an adventure film. There seemed to be a lot more drama and action in this film. Especially melodrama. Production wise, “THE MISSISSIPPI GAMBLER” struck me as an attractive looking film. Being a constant visitor of the Universal Studios theme park, it was easy to recognize some of the exterior scenes from the studio’s back lot. I doubt that “THE MISSISSIPPI GAMBLER” had the budget to be shot on location in Louisiana. But I still would not describe it as cheap looking for a standard melodrama, thanks to Irving Glassberg’s sharp photography. Even Bill Thomas’ costume designs added to the film’s visual style. However, there was one costume worn by leading lady Piper Laurie that reflected the early 1950s, instead of the early 1850s. I have no problems with the movie’s performances. Tyrone Powers gave a subtle, yet excellent performance as the good-hearted Mark Fallon, who had not only become enamored of New Orleans society, but also the leading lady. His chemistry with Piper Laurie struck me as pretty solid, but not particularly striking. I think Laurie’s portrayal of the aristocratic and hot-tempered Angelique seemed a bit too fiery . . . and possibly too young for the more sedate Powers. The actor seemed to have better chemistry with Julie Adams, who portrayed the sweet-tempered, yet practical and mature Ann Conant. I found myself wishing that her character was Powers’ leading lady. The lead actor certainly clicked with John McIntire, who portrayed Mark’s close friend, Kansas John Polly. The two men seemed to have created their own on-screen bromance with considerable ease. John Bear gave a very credible performance as Laurent Dureau, the careless, yet passionate young scion who happened to be the leading lady’s brother. Paul Cavanaugh was equally competent as Angelique and Laurent’s elegant father, Edmond Dureau. I would comment on the rest of the cast. But if I must be honest, I found them unmemorable . . . including Ron Randell, who portrayed Angelique’s corrupt husband, George Elwood. 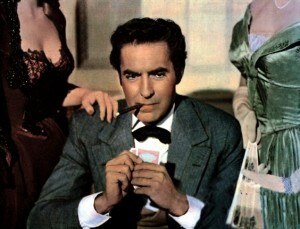 While reading about the film, I also learned that “THE MISSISSIPPI GAMBLER” was a big hit during early 1953. Leslie I. Carey, even managed to earn an Academy Award nomination for Best Sound Recording for his work on the movie. But you know what? Despite the decent production designs, visual styles and solid performances from the cast, I have a pretty low opinion of “THE MISSISSIPPI GAMBLER”. In fact, I am astounded that this movie was a box office hit. Perhaps that sounded arrogant. Who am I to judge the artistic tastes of others? I certainly do not like for others to judge my tastes or attempt to infringe their tastes upon me. But I have to say that I did not like “THE MISSISSIPPI GAMBLER”. What was it about the movie that I disliked? Seton I. Miller’s screenplay. I found it very ineffective. In other words, I thought it sucked. Exactly what was this movie about? Mark Fallon’s struggles to build his New Orleans casino? His adventures as a riverboat gambler? His romance (it that is what you want to call it) with Angelique Dureau. Apparently, it is all of the above. But Miller’s story struck me as extremely vague and very episodic. The only storyline that remained consistent from beginning to end was the love story between Mark Fallon and Angelique Dureau. And honestly, it did not strike me as a well constructed love story. The problem seemed to be the character of George Elwood. Instead of marrying him earlier in the story, Angelique did not marry him until the final half hour. The love story was not the only problem I had with the plot for “THE MISSISSIPPI GAMBLER”. One scene featured the leading characters witnessing a dance number by slaves or free blacks in an area known as Congo Square. I am aware that such performances did occurred in 19th century New Orleans. I found it more than disconcerting that the dancers featured in the movie were white performers in blackface as African-Americans. Mark Fallon’s struggle to build a casino did not come off as much of a struggle to me. In fact, Mark, Kansas John and Ann Conant managed to build the casino within the movie’s second half hour and lose it, thanks to George Elwood’s financial manipulations by the last half hour. Not only did the banker’s financial manipulations concluded the story line regarding the casino in an unsatisfying manner, but the same could be said about how Mark and Angelique’s love story ended. I could go into detail about what happened, but why bother? It would be a waste of time. All I can say is that I found the conclusion of Miller’s story vague, rushed and very unsatisfying. In a nutshell, “THE MISSISSIPPI GAMBLER” possessed both a decent visual style and production designs. It also featured solid performances from a cast led by Tyrone Power and Piper Laurie. But the first-class costume melodrama that Universal Pictures set out to create was undermined by a vague and unsatisfying story written by screenwriter Seton I. Miller. It seemed a pity that within the seven to eight years following the end of World War II, Tyrone Power’s career led him to this. Before I wax lyrical over “THE HOBBIT: THE DESOLATION OF SMAUG”, I might as well comment over its shortcomings. Thankfully, there are only a few. Two of them featured characters from the Wood Elves – Legolas and Tauriel. Orlando Bloom returned to portray the sixty years younger Legolas for this new trilogy. However, Bloom is over a decade older than he was when he portrayed the older Legolas. I wish I could say that he looked young enough to portray the younger Legolas. But I would be lying. And I am not being shallow. Bloom looked great. But I could tell that he looked older than he did in the “LORD OF THE RINGS” trilogy. And for me, this did not gel very well, considering that he was portraying the same character at a younger age. I also had a problem with the new character, Tauriel, Chief Guard for the Wood Elves. I understand that she was created by Jackson and the other screenwriters, due to the dearth of female characters in this story’s chapter. Quite frankly, I have no problem with this, unlike the Tolkien “purists”. But there were times when I found her character a little too ideal. It is great that she is a badass. But aside from an initial show of bigotry toward the Dwarves, there seemed to be a lack of flaws in Tauriel’s characterization. Not only is she a badass fighter, she is the only Elf who seemed to be aware of a growing evil throughout Middle Earth and believes something should be done about it. Tauriel is practically a borderline “Mary Sue”. And like many moviegoers, I found the movie’s final scene rather perplexing. I realize that “THE DESOLATION OF SMAUG” is only the second of three movies. But Jackson had ended previous Tolkien movies – aside from “LORD OF THE RING: RETURN OF THE KING” – with the conclusion of a major action sequence. I had expected him to resolve the matter of Smaug before moving on to the last chapter of “THE HOBBIT”. He did not. And because of this, the movie ended on an erupt note. 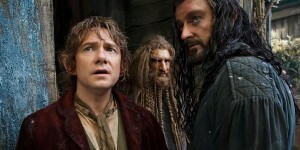 It is a pity that “THE HOBBIT” trilogy has not garnered as much critical acclaim as the “LORD OF THE RINGS” movies. Quite frankly, I find them more enjoyable to watch. Unlike the trilogy from a decade ago, the two “HOBBIT” movies have managed to more than satisfy me. “THE DESOLATION OF SMAUG” may have possessed a few flaws, but it kept me fully entertained and fascinated right to the end. Right now, Peter Jackson seemed to be on a roll with this second trilogy. I only hope that the third and last film will not disappoint me. But as much as I liked Turner’s adaptation of the novel, it seemed far from perfect. One aspect of the script that really irritated me was that Turner had a habit of telling the audiences what happened, instead of showing what happened. InEpisode One, following their arrival in Milton, Margaret tells her parents that she met the Higgins family. The miniseries never revealed how she met Nicholas or Betsy Higgins in the first place. 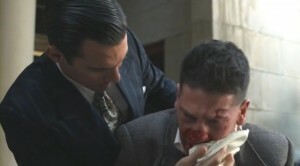 The series never revealed the details behind Boucher’s death in Episode Four. Instead, a neighbor told Margaret, before his body appeared on the screen. We never see any scenes of Fanny Thornton’s wedding to mill owner Mr. Slickson. Instead, John tells Mr. Bell about the wedding in a quick scene between the two men on a train. Also, I found Margaret’s initial hostility toward John rather weak. A conversation between the two about the mill workers took part after audiences met the Higgins family. It is easy to see that John’s arrogant assumption regarding his control of his workers might seemed a bit off putting to Margaret. But it just did not seem enough for her hostility to last so long. And while the script probably followed Gaskell’s novel and allowed John’s regard for Margaret to be apparent before the end of Episode One, I never felt any growing attraction that Margaret may have felt toward John. Not even through most of Episode Four. In fact, Margaret’s open declaration of her love for John in the episode’s last few minutes seemed sudden . . . as if it came out of the blue. Whenever one conjured the image of Warner Brothers Studio during the 1930s and 40s, hard-hitting crime dramas or social commentaries come to mind. I would certainly not view melodramas – costumed or otherwise – as part of the studio’s usual repertoire. Then in 1933, Hal Wallis became the studio’s new production chief and eventually allowed the studio to release more films with a wider variety. And when Bette Davis became “Queen of the Lot” in the mid-to-late 1930s, the release of melodramas by Warner Brothers became more common. One of the melodramas associated with Davis was “ALL THIS AND HEAVEN TOO”, the 1940 movie adaptation of Rachel Fields’ 1938 novel. Set in France and northeastern United States during the mid-to-late 1840s, the movie told the story of a newly hired French schoolteacher at an American school, who finds herself reliving her past experiences with a French aristocratic family to her new students gossiping over the scandal that had followed her across the Atlantic. The movie begins in 1848 United States. Mademoiselle Henriette Deluzy-Desportes has been hired as the new French instructor at a girls’ school. To her dismay, she discovers that her new students are aware of the scandal that drove her out of France. Instead of resigning from the school, she decides to tell her students about her experiences with the family of the Duc de Praslin and Duchesse de Praslin. The movie jumps back to 1846, during the last years of the Orleans monarchy, when Henriette arrives in France, following a five-year stint as a governess for an English family. After an interview with the Duc and Duchesse, Henriette is hired to act as governess for their three daughters and son. Although Henriette endears herself to the Duc and his four children, the Duchesse seemed to resent her presence. Due to an erratic temperament and an all compassing love for her husband, the Duchesse begins to suspect that Henriette is not only stealing the love of her children, but more importantly her husband. Despite her happy relationship with the de Praslin children, Henriette is forced to deal with the Duchesse’ increasingly hostile behavior, a growing awareness of the Duc’s feelings for her . . . and her own feelings for him. The tensions within the family culminates in the Duchesse’s brutal death, which leads to a great deal of legal problems for Henriette. “ALL THIS AND HEAVEN TOO” proved to be a successful film, but not quite a major box office hit. I read somewhere that some at the Warner Brothers Studios blamed the movie’s elaborate production designs for overwhelming the other aspects of the movie. I do not know if I could agree with this assessment. Granted, I found some of Carl Jules Weyl’s art designs of 1840s France a bit grandiose – especially in scenes featuring the de Praslin household. But considering the high level of melodrama and characterization, I find this opinion a bit hard to accept. I also find it difficult to agree with this slightly negative opinion of the movie’s visual style. Personally, I rather enjoyed it. I thought Weyl and his staff did an excellent job in re-creating the movie’s period – 1846 to 1848 via production designs, set designs, Warren Low’s editing and especially Ernest Haller’s Oscar nominated cinematography. I also have to compliment Orry-Kelly’s costume designs. The Australian-born designer had also created the costumes for some of Bette Davis’ movie, including 1938’s “JEZEBEL” and 1939’s “JUAREZ”. The designer could have easily been sloppy and re-used the costumes from those particular movies. Instead, Orry-Kelly created costumes that more or less accurately reflected the fashions of the mid-to-late 1840s. While reading another review of “ALL THIS AND HEAVEN TOO”, the writer complained that he/she found it difficult to believe that a forbidden romance between a French aristocrat and his governess led to the outbreak of the Revolution of 1848 and the fall of the July Monarchy in France. Apparently, the reviewer had failed to do any research or read Rachel Field’s novel. AFter all, the novel was based upon history, including Field’s family background. Henriette Deluzy-Desportes (or what was her real name) was one of Field’s ancestors. And from what I have read, the real scandal that surrounded the governess and the duke had a major impact on the 1848 revolution that broke out in France. But was the movie’s historical background completely accurate? I honestly do not know. I would have to read more on the 1848 Revolution in France and the life of the Duc de Praslin. If I have one complaint about the movie’s handling of this historical background, I do wish that Casey Robinson’s screenplay could have provided more hints about the upcoming political upheaval. Overall, I really enjoyed “ALL THIS AND HEAVEN TOO”. It is rare to come across a first-rate costume melodrama that can keep me enthralled during its entire running time. And this movie managed to achieve this, thanks to not only Robinson’s screenplay, but also Anatole Litvak’s steady direction. This was especially apparent in the first two-thirds of the movie that chronicled Henriette’s troubles with her American students, her arrival in France and her working and personal relationships with the de Praslin family. The movie’s best segment centered around the months she spent in the de Praslin family’s employment. 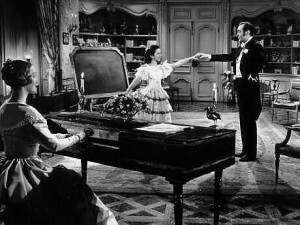 Once, Henriette is dismissed by the Duchesse de Praslin for imagined slights, the movie struggled to maintain its momentum. This last third of the film centered on Henriette’s attempts to retrieve a reference from the Duchesse, the latter’s violent death, the legal wranglings that surrounded the murder and the finale in the United States. And yet . . . this last third of the film dragged so much – especially the period in which Henriette was in prison – that it threatened to overshadow my enjoyment of the film. Aside from one particular performance, I have no problems with the movie’s cast. Bette Davis gave an engrossing and subtle performance as the movie’s lead character, Henriette Deluzy-Desportes. I will admit there were times I found the character a bit ideal for my liking – especially in the scenes featuring the governess and her charges. But the scenes featuring the growing love between Henriette and the Duc de Praslin and her conflicts with the Duchesse allowed Davis to superbly portray the governess more as a human being and less as a figure of feminine ideal. Charles Boyer was superb as the Duc de Praslin, a practical and loving man who found himself trapped in a marriage with a woman he no longer love. I feel it is to his credit that he could make the audience feel sympathetic toward a man who not only harbored adulterous feelings for another woman, but also murdered his wife. The movie also featured fine performances from a supporting cast that included Jeffrey Lynn as Henriette’s future husband, the Reverend Henry Field; Harry Davenport as the de Praslin groundskeeper Pierre; Montagu Love as the Duc de Praslin’s father-in-law, Marshal Horace François Bastien Sébastiani de la Porta; and Henry Daniell as Monsieur Broussais, the man charged with investigating the Duchesse’s murder. “ALL THIS AND HEAVEN TOO” also benefited from excellent performances from the child actors who portrayed Henriette’s charges. I was especially impressed by June Lockhart and Virginia Weidler, who portrayed the Duc and Duchesse’s two older offsprings. The only performance I had trouble with Barbara O’Neil’s portrayal of Frances, the Duchesse du Praslin. I realize the latter was supposed to be an emotional and possessive woman, whose selfishness left her family out in the cold. O’Neil was fine in those scenes in which she conveyed the Duchesse’s coldness and attempts at indifference toward Henriette. Otherwise, her shrill rants and emotional outbursts struck me as hammy. 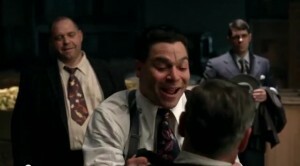 I am surprised that O’Neil was the only cast member to earn an Academy Award nomination for acting. I cannot say that I agree with the old criticism of the production designs for “ALL THIS AND HEAVEN TOO”. I believe the movie does suffer from some flaws that include occasional hammy acting from Barbara O’Neil and the slow pacing that nearly bogged down the third act. But Anatole Litvak’s direction, along with a first-rate screenplay by Casey Robinson, excellent production designs, and superb performances from a cast led by Bette Davis and Charles Boyer have led me to regard “ALL THIS AND HEAVEN TOO” as an excellent example of a Hollywood costume melodrama at its best. Ever since the middle of Season One of Marvel’s “AGENTS OF S.H.I.E.L.D.”, there has been a fandom dedicated to the relationship between two of the series’ characters: former hackivist/turned S.H.I.E.L.D. agent Skye (no surname mentioned) and Agent Grant Ward. And despite the amount of attention dedicated to this potential romance on the Internet and in the media, I have found myself wondering if I should support it or not. The relationship between Skye and Ward began in (1.01) “Pilot”, the series’ very first episode. Despite being a member of a hacktivist group called Rising Tide, Skye ended up being recruited by S.H.I.E.L.D. Agent Phil Coulson and his newly formed team (which included Ward) track down a man named Mike Peterson, who had recently acquired super powers. Coulson assigned the no-nonsense Ward to serve as Skye’s S.O. (Supervising Officer) and train her. During Season One’s first half, Ward trained Skye; while she responded with quirky jokes and mild flirtation. Then in the final scene of (1.08) “The Well”, Ward began an affair with another member of Coulson’s team – the formidable Agent Melinda May. I suspect that May slept with Ward as some form of comfort following his traumatic experiences with an Asgardian Beserker Staff. Their relationship lasted until a “repentant” Ward received a grilling for fraternizing with another agent and promised to end the affair in (1.13) “T.R.A.C.K.S.”. Two episodes later in (1.15) “Yes Men”, Ward admitted his attraction to Skye in a conversation with the rogue Asgardian goddess, Lorelei. She had him under her thrall at the time. The friendship between Skye and Ward deepened in the following four episodes – between (1.16) “End of the Beginning” and (1.19) “The Only Light in the Darkness”. During this period, the events of “CAPTAIN AMERICA: THE WINTER SOLDIER” played out and resulted in the downfall of S.H.I.E.L.D., the revelation of HYDRA’s (a former Nazi science organization-turned-terrorist group) infiltration, and Skye’s discovery that Ward had been a HYDRA mole on behalf of another S.H.I.E.L.D./HYDRA traitor, Agent John Garrett. The relationship between Skye and Ward fell apart during Season One’s remaining three episodes. Skye was forced to leave Director Nick Fury’s secret Providence base and allow Ward to lead her into the arms of HYDRA and Garrett. The latter needed her to break the encryption code she had created to guard many S.H.I.E.L.D. files. After Coulson rescued her at the end of (1.20) “Nothing Personal” with the help of fellow agents Maria Hill and Antoine Triplett, Skye and Ward did not face each other again until the big confrontation between Coulson and Garrett in the season’s finale, (1.22) “Beginning of the End”. In that episode, Skye expressed her disgust and contempt for Ward and he ended up in Federal custody after enduring a beat down by May. Since the airing of “Beginning of the End”, fans have been divided over the future of Skye and Ward’s relationship (dubbed “Skyeward” on the Internet). 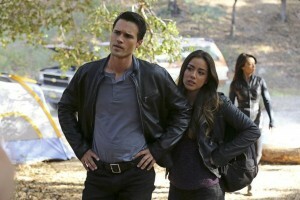 They have also been divided over the possibility of Ward’s redemption in future episodes. How do I now feel about these issues? Honestly, I am a bit conflicted. At least about Ward’s redemption. Do I believe that he is beyond redemption? Well . . . no. I do feel that it would take a great deal of sacrifice on Ward’s part (possibly his death) to redeem himself for the murders of S.H.I.E.L.D. Agents Victoria Hand, her assistants, and Eric Koenig; and the attempted murders of S.H.I.E.L.D. Agents Leo Fitz, Jemma Simmons, Coulson and Skye. What about “Skyeward”? How do I feel about the Skye/Ward relationship? Honestly? I do not sense any real love between them. Not really. The ironic thing is that I had earlier considered the possibility of a romance between them. After all, cast members Chloe Bennet and Brett Dalton managed to generate a pretty good screen chemistry. However, the revelation of Ward as a HYDRA mole led me to dismiss any considerations . . . for the present. But after my recent re-watching of several Season One episodes, I found myself wondering how I could have ever considered any possibility of a romance between them in the first place. There are certain fans who believe that Ward could find redemption from his actions as a HYDRA mole through Skye’s love. I have a problem with this theory. I have a problem, because I have doubts that Skye actually loves him . . . or ever loved him. Her flirtation attempts at Ward in the early episodes seemed to hint that Skye found Ward attractive. She even used a photograph of him as her laptop computer’s wallpaper . . . like an infatuated schoolgirl. This attraction was especially apparent in an early scene from “Yes Men”, in which both seemed physically aware of each other, while the latter expressed relief at her recovery from being shot by HYDRA scientist/industrialist Ian Quinn in “T.R.A.C.K.S.”. Before this romantic exchange could progress, Skye expressed her dismay over Mike Peterson, who had just become Deathlok. Because she viewed him as a close friend, this was the second time she had expressed disbelief and concern over Mike’s transformation. The first time this happened, Skye had discovered his transformation for the first time before Quinn shot her. And she expressed her dismay for the third when she was a prisoner of HYDRA in “Nothing Personal”. For some reason, Skye found it difficult to give up on Mike. At the same time . . . I do not recall Skye ever expressing similar feelings for Ward, when she discovered he was a HYDRA mole. Not once. When she finally confronted him about his betrayal to S.H.I.E.L.D., she merely expressed anger and disgust. In fact, she labeled him as someone “evil”. In the season finale, her feelings toward him had transformed into contempt and she judged him as “weak”, instead of “evil”. The only member of Coulson’s team who seemed unable to face Ward’s betrayal or give up on him was Leo Fitz. 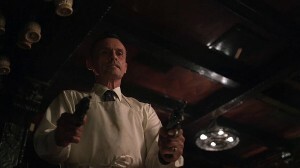 From the moment the rest of the team learned about Ward’s betrayal, Fitz expressed disbelief that Ward was a HYDRA agent and expressed numerous theories that Ward may have been coerced. Even moments before Ward tried to kill him and Jemma Simmons by ejecting them into the ocean, Fitz continued to blind himself from Ward’s perfidy. As I had stated earlier, Skye never tried to deny Ward’s betrayal. One might point out her willingness to cooperate with Garrett over the encrypted files, when Mike endangered Ward’s life in “Nothing Personal”. But Skye was willing, if reluctantly, willing to allow Ward to die if it meant preventing HYDRA from accessing those files. In the end, it took Mike’s argument that she would have Ward’s blood on her hands if she did not cooperate. If Joss and Jed Whedon, along with Maurissa Tancharoen, are willing to satisfy fans with some plot twist that allows Skye’s love to redeem Ward; they will have to dramatically change her character for that to happen. Judging from the Season One episodes I have seen, I would say that Grant Ward harbors stronger feelings for Skye than she does for him. And yet . . . I cannot sense any deep and abiding love on Ward’s part for Skye. I can recall him expressing concern for her life, when she infiltrated Quinn’s mansion in (1.03) “The Asset”. He did seemed concerned for Skye’s life after she had been shot by Quinn. Yet, other members of the team seemed more openly upset. Like Ward, Fitz expressed remorse that he did not accompany Skye to Quinn’s Italian villa, where she got shot. But he seemed a lot more emotional than Ward. Simmons literally burst into tears. May lost her temper and nearly beat the living crap out of Quinn, who became their prisoner. And Coulson became uber-determined, actually desperate to find a means to save Skye’s life – even to the point of breaking S.H.I.E.L.D. protocol and searching for the project that had resurrected him. Of all the team members, Ward seemed the least emotional over Skye’s fate. Perhaps the latter was trying not to shed “unmanly” tears. Who knows? He did express his displeasure to his mentor John Garrett, who had ordered Skye’s death. But his easy willingness to accept Garrett’s dismissal of the incident struck me as a bit . . . interesting. Ward’s most emotional reaction to any character on the show was directed at Garrett. This happened when the latter’s organs began to fail, due to internal cybernetic parts. Ward expressed deep concern when Garrett’s health began to fail in(1.21) “Ragtag”. And when a captured Fitz used an old World War II EMP device that further endangered Garrett’s life, Ward nearly flipped out. 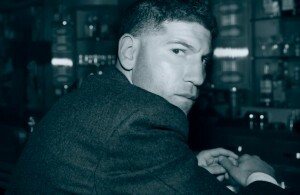 Despite the fact that Garrett had ordered Quinn to kill Skye and Mike Peterson to endanger his life, Ward remained concerned over and loyal to the older man. Some might say that Ward’s continuing loyalty to Garrett was a sign of emotional abuse he had received. But those flashbacks in “Ragtag” seemed more like examples of emotional manipulation from Garrett, not abuse. And there is something else that bothers me. I found it odd that Ward’s attraction to Skye finally became apparent to audiences in “Yes Men”. Especially when May had brusquely brushed aside his concern and offers of help after she had been tortured in “T.R.A.C.K.S.”. Minutes later, Ward spotted Coulson tenderly attending to May’s wounds inside the Bus’ (S.H.I.E.L.D. plane) medical bay. I found it odd that Ward would begin expressing any romantic feelings for Skye two episodes after what he had witnessed between Coulson and May. Was he fooling himself about Skye? Had he been fooling her and the rest of the team about his true feelings? Was he relieved that he no longer had to fake romantic feelings for May? Or had he viewed Skye as an easier target for his reluctant lover act? Who knows? Those fans who have rejected the idea of a future romance between Skye and Ward tend to cite the latter’s sexism, which reared its ugly head in both “Nothing Personal” and “Beginning of the End”. But I had spotted other reasons that make me doubt these two might be destined for any future love. One, Skye had no problems accepting Ward’s betrayal of the team and S.H.I.E.L.D., unlike Leo Fitz. On the other hand, she had trouble accepting Mike Peterson’s cooperation with Garrett and HYDRA. As for Ward, he was willing to deliver Skye into Garrett’s hands in episodes like “The Only Light in the Darkness”, “Nothing Personal” and even “Beginning of the End”. If he truly loved her, why would he be willing to endanger her in this manner? Is this supposed to Marvel’s idea of love? Frankly, I rather doubt it. I could see that both Skye and Ward found each other sexually attractive. But love? Sorry, but I am not buying it. Not at the moment. The Whedon brothers and Tancharoen will have to make numerous changes in Skye and Ward’s personalities in order for me to believe they will eventually become one of the great romances for “AGENTS OF S.H.I.E.L.D.”.